Insectivorous birds are those whose diet is mostly made up of insects. They are a crucial part of a healthy ecosystem and also serve as natural pest control. Many species that fall into this category are in global decline. The reasons for these declines are not all known, but may include changes or declines in insect populations due to climate change, pesticides use and habitat loss. At-risk insectivorous birds that nest in Prince Edward Island include the bobolink, barn swallow, bank swallow and common nighthawk. Agriculture is a significant industry in PEI, and farms provide important habitat for certain insectivorous bird species on the Island. 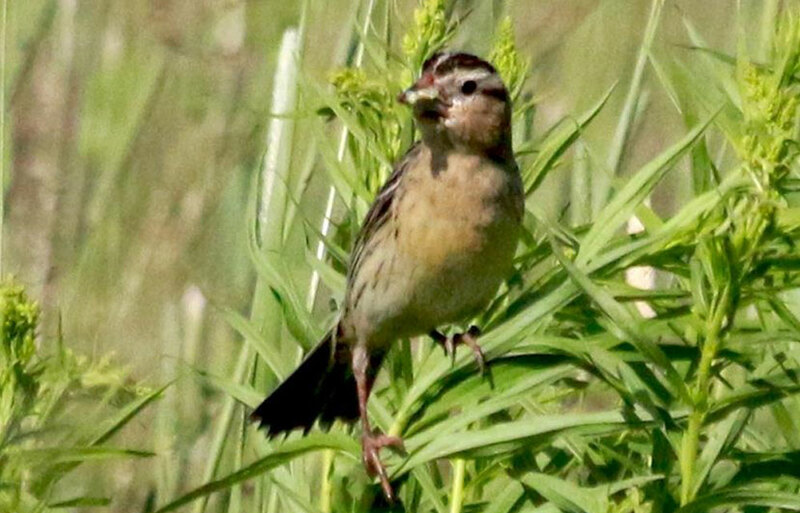 Since 2014, Island Nature Trust has been working with rural landowners to monitor and protect the habitat of two bird species, the bobolink and barn swallow, in farm and grassland landscapes. Both of these species prospered in PEI during the 1700s, when settlers began clearing land and raising barns, but have since disappeared from many Island locales. 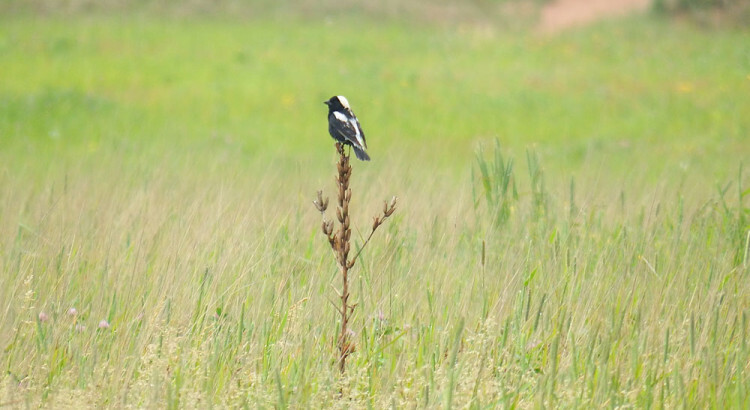 The bobolink (Dolichonyx oryzivorus) is a grassland species, feeding on insects as well as rice and grains, with a preference for managed hayfields in PEI to nest and raise young. Modern practices of cutting hay early for sweeter forage and silage eliminates whole fields as nesting habitat, because the young do not have enough time to fledge before the field is cut and cannot get out of the way of the harvesting equipment. 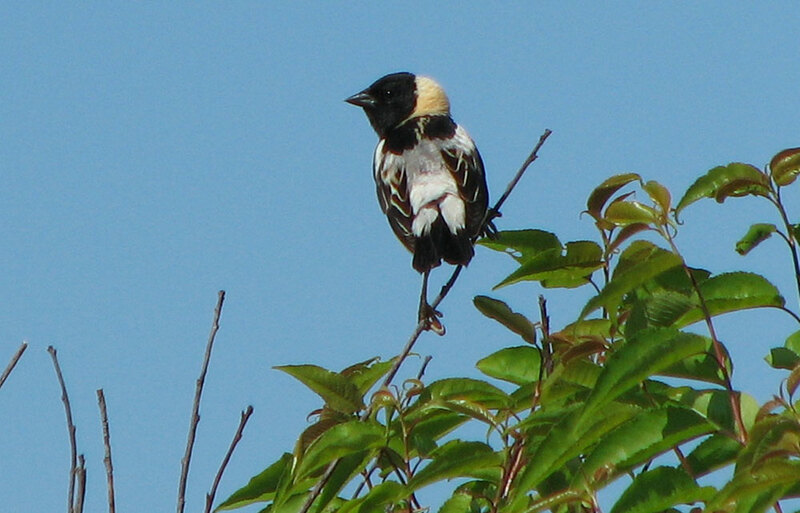 The bobolink was classed as threatened by the Committee on the Status of Endangered Wildlife in Canada (COSEWIC) in 2010 and protected under the federal Species at Risk Act (SARA) in 2017. The bobolink population in Canada has decreased by 88% over the last 40 years. The barn swallow (Hirundo rustica) is an aerial insectivore that nests in old built structures. 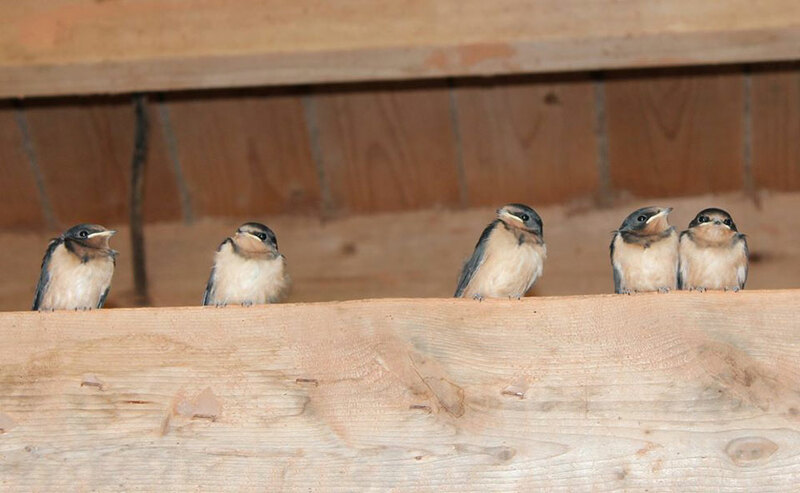 On PEI, barn swallows may be found building their nests inside barns, other farm buildings, or in fishing shacks at the many small craft harbours that dot the coastline. Newer metal outbuildings and locked up doors do not accommodate this species’ needs for mud-based nests attached to rough, unfinished interior wood timbers. The barn swallow was classed as threatened by COSEWIC in 2011 and protected under SARA in 2017. It has seen a decline in population of 76% since the 1980s. 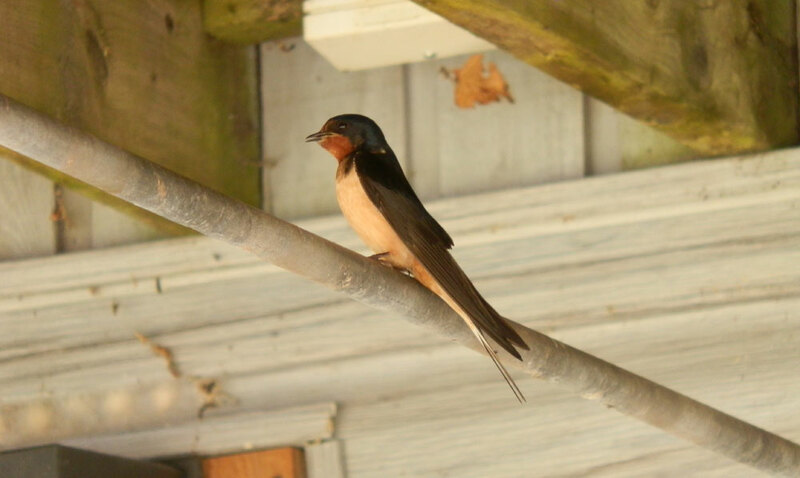 The bank swallow (Riparia riparia) is another aerial insectivore that breeds in PEI. It inhabits coastal regions, with adults building nests in colonies in the sides of shoreline banks, dunes and cliffs. The bank swallow was classed as threatened by COSEWIC in 2013 and protected under SARA in 2017, having lost 98% of the population over the last 40 years. In 2014, Island Nature Trust began an outreach program aimed at creating greater awareness of barn swallow and bobolink and their habitat needs in Island rural communities. Once Islanders understood what needed to be done, many embraced the practices that give these two birds a fighting chance to successfully raise their young. Volunteer landowners in the Farmland Birds program use simple fridge forms to track important arrival, nesting and departure dates for PEI birds each year. Some also provide access to their land so INT staff can monitor the breeding success of the two species. Now 4 years old, this program is providing local data on populations of these at-risk bird species that can inform national recovery programs in the future.